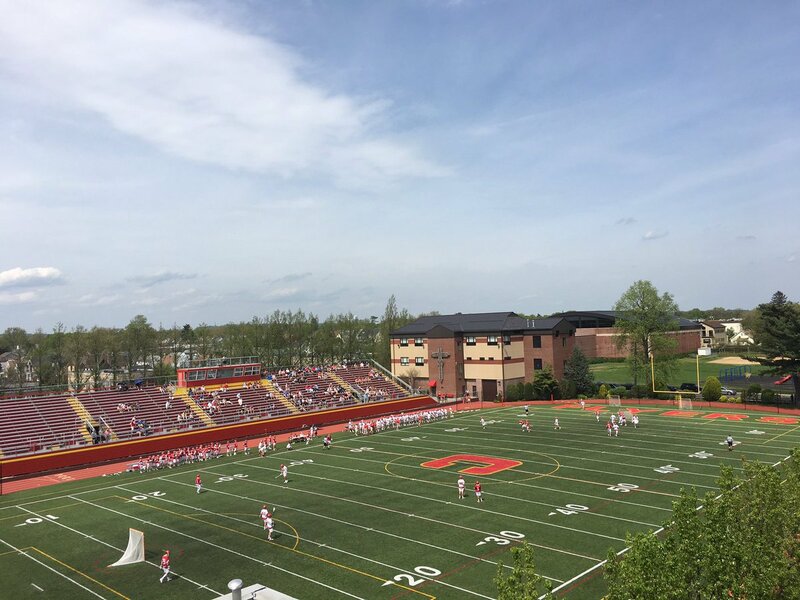 Gold Star Stadium was filled this past Saturday, April 29 in support of both the Flyer’s varsity and JV lacrosse teams. Both faced a tough opponent in Greenwich High School from Connecticut. Chaminade varsity lacrosse play against Greenwich High School on Ott Field. The JV team delivered a strong performance as well. Chaminade’s JV team dominated the game. At halftime, they were up 9-0, and they concluded the game 16-0. JV coach, Mr. Robert Pomponio, attributed the victory to the defense. “It was a tremendous effort from the defense, which ignited the attack and put the other team under pressure,” said Coach Pomponio. Michael O’Connell ’20 scored three times for the Flyers, and Thomas Rogan ’19 scored once and assisted three goals. The Flyer’s lacrosse teams put forth a great effort and performance. This past Saturday proved a confidence booster for both teams, as they look to carry their success through the end of the season. Posted in Sports and tagged jv lacrosse, lacrosse, varsity lacrosse. Bookmark the permalink.